The PECoS DC is an easy to use, small, yet robust 32-bit digital engine controller. 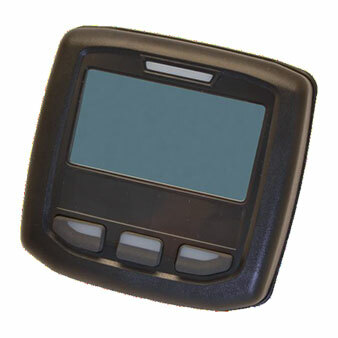 This device will give you precise control as well as a multitude of programmable features in a small package. 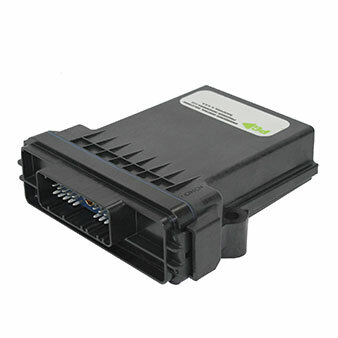 The serial RS-232 interface allows the user to customize this controller to their needs for many engine control applications. Gain, speed and other calibrations can be done via four reconfigurable pots mounted on the controller. 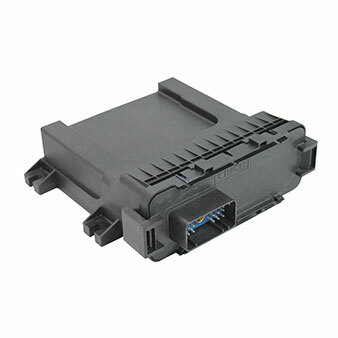 There is a speed sensor input for monitoring and controlling engine speed. 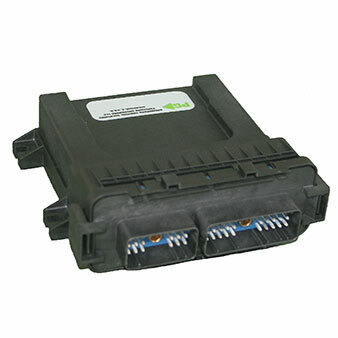 This PECoS DC also includes two auxiliary connections for monitoring or driving any needed control peripherals. 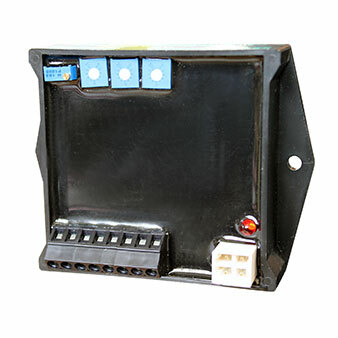 An option is available using these auxiliary connections as a CAN bus; allowing this controller to communicate using the J-1939 standard protocol. The PECoS DC can be used as shipped and calibrated to the engine via the onboard pots. The user may also tune and adjust the controller for more precise control via a serial communication link using our custom user interface. PG will customize this controller and its software.